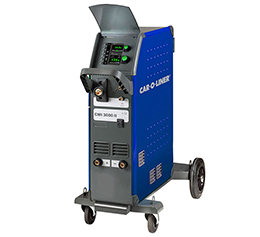 CMI3000II – Versatile, up-gradable MIG/MAG welding machine using flash-card and inverter technology. Auto-pulse technology for advanced pulse welding of aluminium. Designed for all materials and individual welding applications including high strength steel. Exceptional 4-wheel wire feed system provides a smooth, reliable wire feed even on softer wires such as aluminium or MIG brazing. 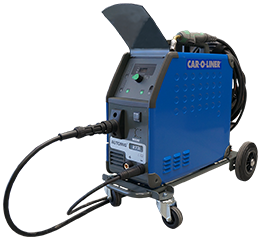 The Automig is a versatile and user-friendly welding machine with optimal welding properties. Simple adjustment of parameters makes the machine operational in no time and the oblique-angled control panel makes it easy to read and adjust settings. 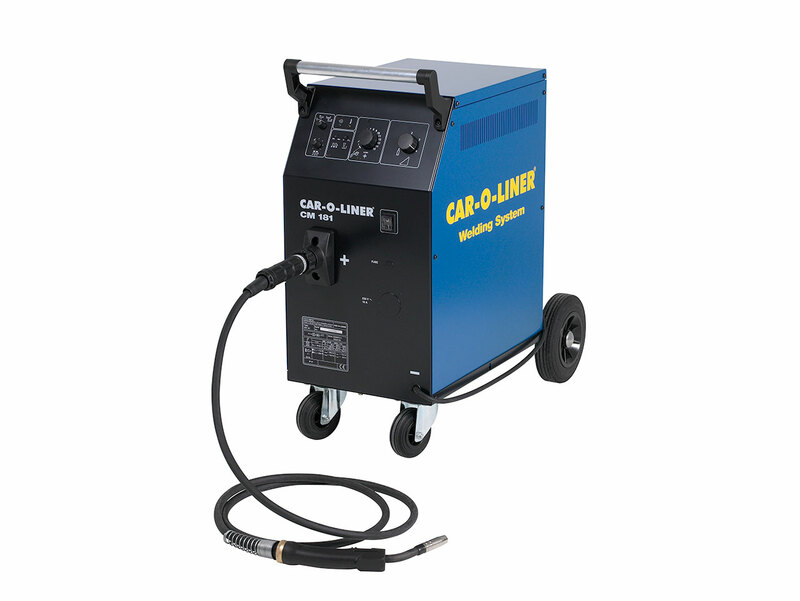 Car-O-Liner’s MIG-welders are standard-equipped with an MPS control box, which ensures the quality of the welding process. The MPS control box makes it possible to do automatic spot and stitch welding, and as an option, you can install a torch with remote control.